Discover stunning art and architecture, learn about San Francisco's storied past and sample delicious treats at the Ferry Building markets on this 3-hour private walking tour. Explore the heart of the city and gain an understanding of how each neighborhood has evolved from their sleepy roots in the early 1800s to the hustle and bustle of today. 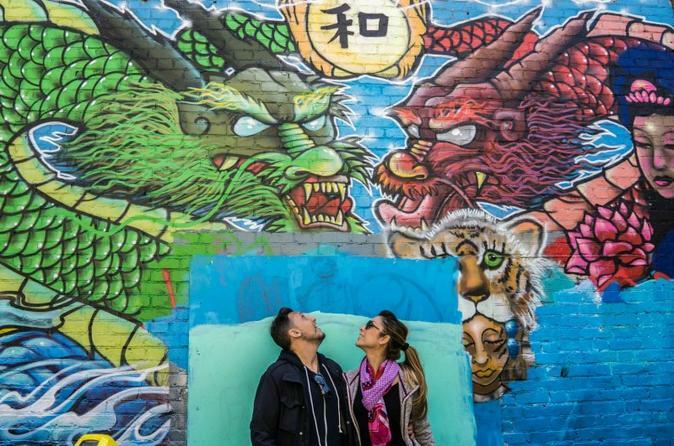 You'll also have the opportunity to visit a secret passage, grab an espresso at one of the best coffee joints in town, and cheer on a game of checkers in the heart of Chinatown. Don't miss this great introduction to San Francisco! You can also leave your camera at home. This tour includes a set of professionally taken photos of you on your tour.